One of the fun and frustrating parts of family history is how it keeps changing on you. There are always more records, there is always more documentation on your ancestors. Most of it is mundane and useless, even if it does give you a partial hint on your family. But sometimes you stumble upon a gem. As I did with this newspaper clipping. I thought I had scoured Ogden’s Standard Examiner pretty thoroughly for familial references. Nevertheless, I was searching for something entirely different and found this article. I don’t know if I missed it before or if search capabilities have improved and caught now what I could not catch 5 or 8 years ago when I went through the Standard Examiner records. Here is the entire page of the paper. A couple of thoughts about the entire page. 100 Gladiolus bulbs for $1.69! I love when they reference someone in the paper they give their home address. Sears Roebuck & Co. May soon be another thing of the past, despite being an institution of the American way of life for over 150 years. 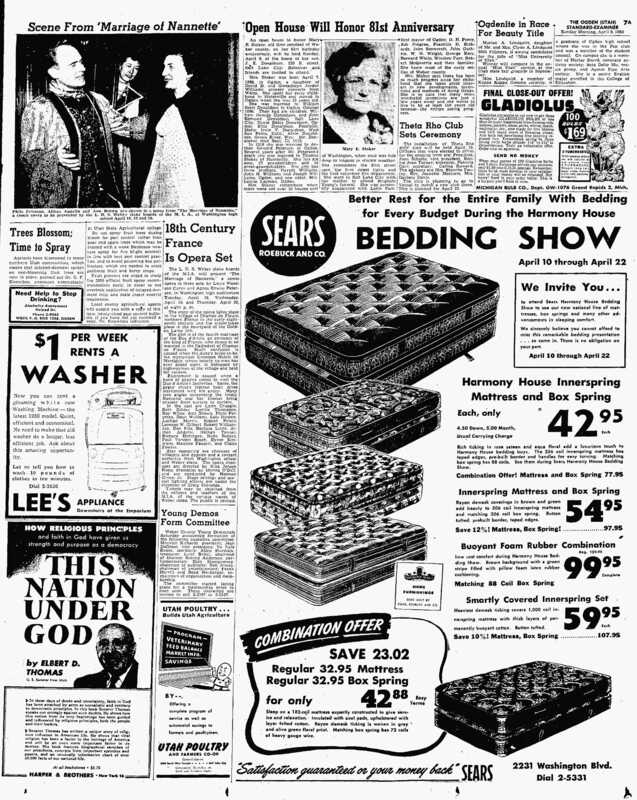 Mattresses seem to be pretty much the same as they were 67 years ago. Not that I expect lots of change, but other than these new foam mattresses, things appear to be much the same. Combination Offer, box springs and mattress only $42.88! Utah’s Senator, Elbert D. Thomas has a new book out, “One Nation Under God” only $2.75. I don’t think I can see a Senator now out selling a religious principles book. Washers have changed a great deal since 1950. Alcoholics Anonymous is still going strong today. Anyhow, on to the reason why I am writing this post. Mary E Stoker is my Great, Great Grandmother. I have written about her previously. But this little newspaper article tells us some things at least I had never known. “An open house to honor Mary E. Stoker, old time resident of Weber county, on her 81st birthday anniversary, will bbe held Sunday, Apr 9, at the home of her son, J. E. Donaldson, 120 E street, Salt Lake City. Relatives and friends are invited to attend. “Mrs. Stoker was born April 7, 1869, in Ogden, a daughter of David D and Gwendolyn Jordan Williams, pioneer converts from Wales. She spent her early childhood in Slaterville and moved to Ogden when she was 15 years old. “She was married to William Scott Donaldson in Ogden, October 1890. They had six children, William George Donaldson, and John Edmund Donaldson, Salt Lake City; David Delos Donaldson, Ogden; Ellis Donaldson, Pocatello, Idaho; Irvin T. Donaldson, West San Pablo, Calif.; Alvin Donaldson, Green River, Wyo. Mr. Donaldson died Sept. 12, 1913. “In 1918 she was married to Anthon Edward Peterson in Ogden. Several years after Mr. Peterson’s death she was married to Thomas Stoker of Huntsville. She has six sons, 22 grandchildren and 14 great-grandchildren. She also has three brothers, Hyrum Williams, John H. Williams, and Joseph Williams, Ogden, and one sister, Mrs. Louise Layman, Ogden. “Mrs. Stoker remembers when there were not over 10 houses east of Washington, when mud was hub deep to wagons in stormy weather. She remembers the first street cars, the first street lights and the first volunteer fire department. 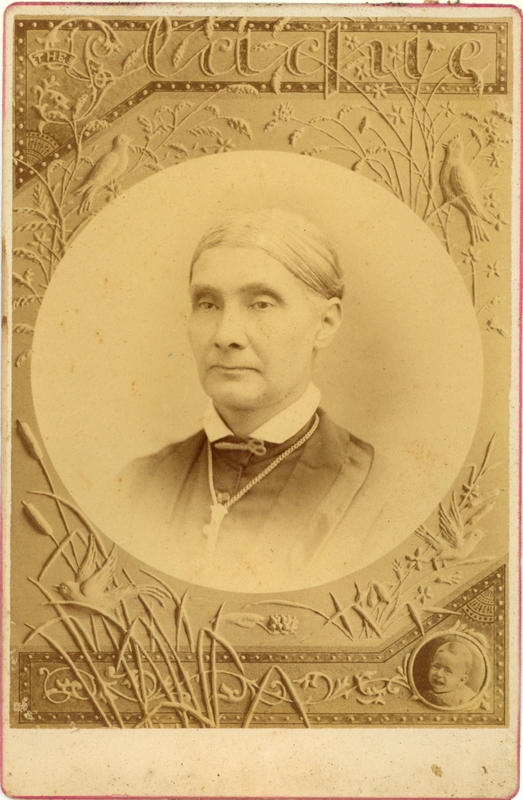 “She went to Salt Lake City with her moth to attend Brigham Young’s funeral. She was personally acquainted with Lorin Farr, first mayor of Ogden, D. H. Peery, Job Pingree, Franklin D. Richards, John Scowcroft, John Guthrie, W. H. Wright, George Kerr, Bernard White, Winslow Farr, Robert McQuarrie, and their families. She knew most of the early settles of Weber county. “Mrs. Stoker says there has been so much progress since her childhood that she takes great interest in new developments, inventions and methods of doing things. She is so sure that many more wonderful inventions are just a few years away and she wants to live to be at least 100 years old because she enjoys seeing progress. Much of that seemed standard and information we knew. 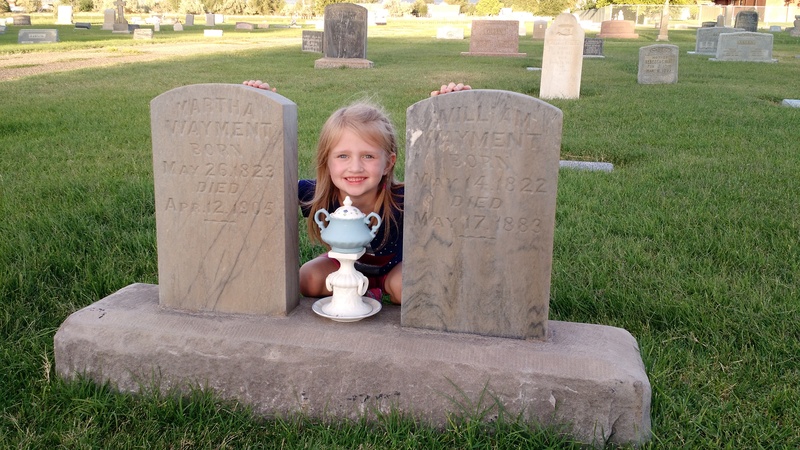 But she went to Brigham Young’s funeral when she was about 8 years old. Why did her mother take her to the funeral. Brigham did not serve any of his missions in Wales, so I doubt they were converts or knew him while he was a missionary. But Gwenllian had enough regard for him that she traveled to Salt Lake City to say farewell. Enough that she even took her daughter. But that is an interesting side note to Mary. The other information is more history of Ogden. I am curious how well she knew the people listed in the article and how she knew them. Now about half of the list does not mean anything to me. As a non-Ogdenite, only a few of the names I am familiar. Farr, Peery, and Richards. The rest of these are lost on me and I will have to research their significance to her and the paper for another time. Just a few more interesting insights into the lady I know as Mary Elizabeth Donaldson. Here is a much better copy of the photo from the newspaper article. She died 29 March 1951. I wanted to share this interesting little incident that happened on Friday. Amanda and the rest of the kids went to Utah for the weekend. Aliza stayed because she had school and rode down with me on Friday. We drove past and I asked if she wanted to stop at the Plain City Cemetery. She said yes. We stopped and walked over to Grandpa and Grandma Ross’ grave stone. 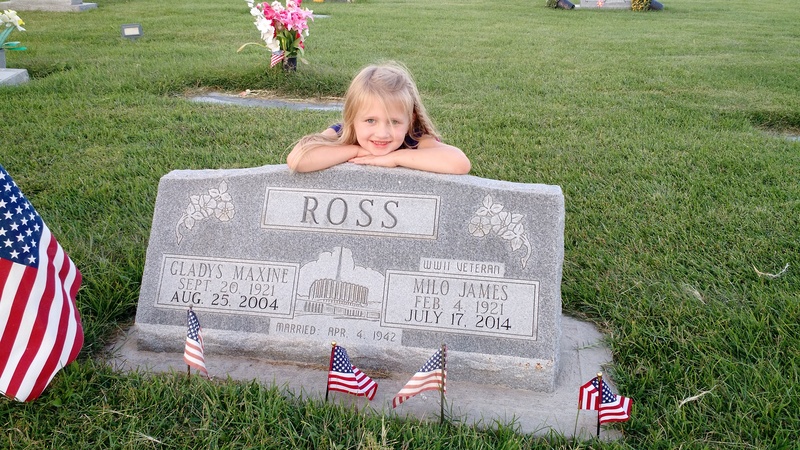 I asked if she wanted to see Grandpa Milo’s mother’s grave. She agreed and we walked over to the grave of Ethel Sharp Ross. I also took her to the grave of Paul Ross, 1922-1932, and I explained my relationship to him. We then walked to the grave of Ethel Sharp Ross’ parents, Milo Riley and Mary Ann “Lillie” Stoker Sharp. 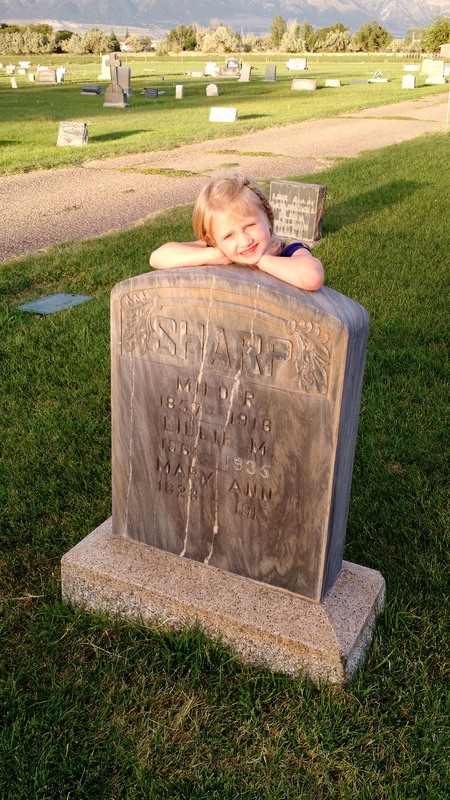 Aliza with Milo and Mary Ann “Lillie” Sharp, also Mary Ann Sharp’s tombstone. Aliza recognized the Lillie, although Lillian was only loosely named after this Lillie. We use the Lillie spelling for her nickname based on this Lillie though. I explained the Milo name, the relationships, and how Mary Ann on this stone is Mary Ann Bailey Sharp, Milo Riley’s mother. We then walked over to Lillie’s father, William Edward Stoker. In this picture below, you can see Mary Ann or Lillie Sharp’s proximity to her father’s grave. Her mother died in England before the family could immigrate to Utah. Needless to say, being related to some of the older graves in the cemetery, we are related to a number of the other families in the graveyard. We walked around for quite a while talking about names and how they are related. 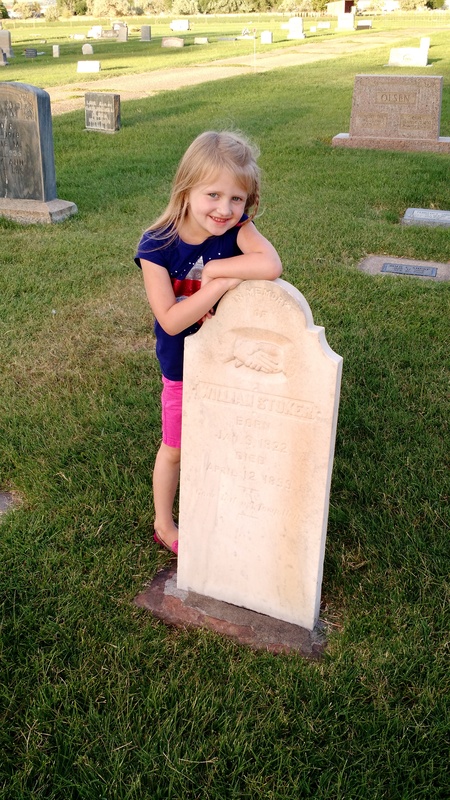 I started walking back toward the car and Aliza wanted to go back over by William Stoker. I told her we did not have any more family graves over in that part of the cemetery. She insisted, “we didn’t stop at the other family tombstone for a picture.” Knowing there was no other family over there, I followed her so she could see for herself. She then stopped at another grave. She wanted to take a picture of it. I told her we were not related to them and she said, “Yes we are, I want a picture.” Rather than have a battle in the cemetery over it, I took her picture. If you look closely, you can see William Stoker’s grave behind William Wayment’s grave marker, and the Sharp tombstone right above Aliza. I took the picture and it dawned on me, Amanda’s Great Grandfather’s middle name was Wayment and his mother had been a Wayment. I was not sure if these Wayments were related to Amanda’s Wayments or not. Sure enough, Aliza was right. While not related to me, these were her relatives! These are her 5th Great Grandparents through Amanda’s line. I was a bit struck by the determination she had that we had another family grave I had not taken her. Dumbfounded that they were in fact her family, and not mine! It inspired and spooked at the same time. Amanda’s Great Grandfather is Walter Wayment Hansen, 1904 -1995. 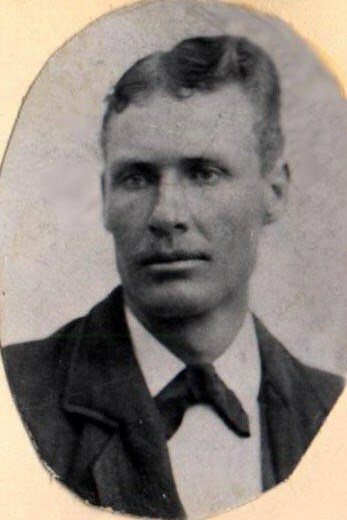 His mother is Martha Ann Wayment Hansen, 1877-1908. 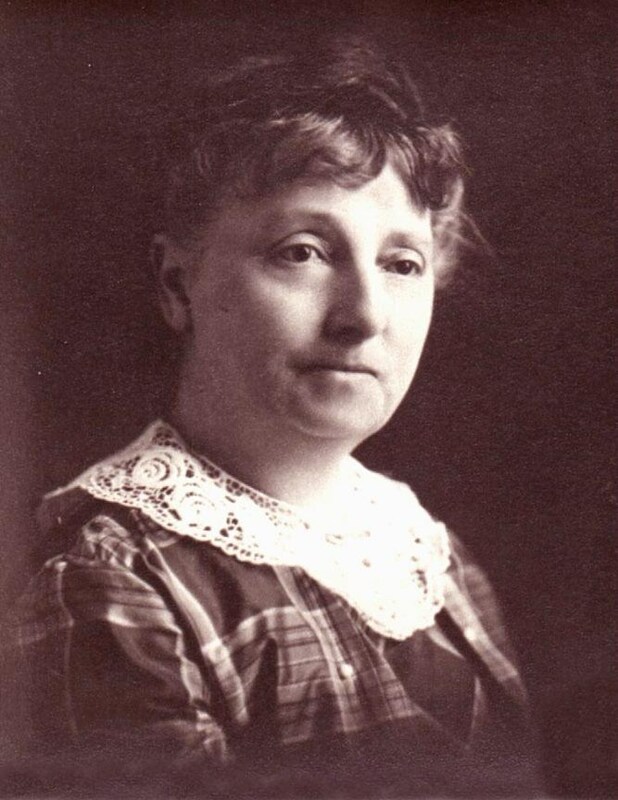 Her father is Joseph Wayment, 1844 – 1931. His parents are William Wayment, 1822 – 1883, and Martha Brown, 1823 – 1905, the individuals whose graves Aliza wanted a picture. My father-in-law, Bryan Hemsley, did not remember they were buried in Plain City. 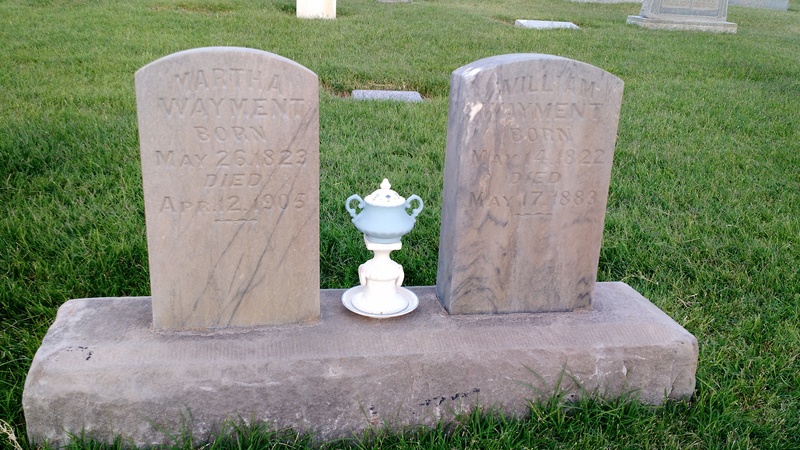 A quick internet search located this brief history of William and Martha Wayment. In reading, the Stokers and Wayments came to America both on the same ship, the Amazon! Multiple linkages in history between the two families. I corrected a couple of spellings in the biography. T Eames Grocery and Provision Store in Alperton, England. We do not know the name of the lady in the picture, probably family. This photograph was just provided to me this past week. I think it is a fascinating photo, the lady was not sure if it was related to us. The Eames name immediately caught my attention as did the English design of the home and the lady’s clothes. I did a little research and this is what I know. 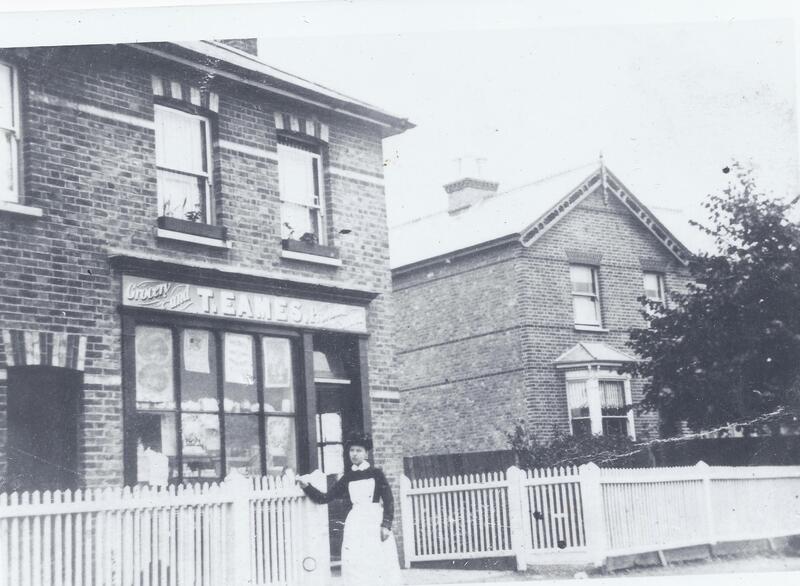 This grocery and provisions store was on High Street in Alperton, Middlesex, England. Thomas Eames is the brother to my Emma Eames Stoker. Thomas Eames lived in Alperton/Wembley, Middlesex, England his entire life. The 1851, 1861, 1871, 1881, 1891, and 1901 censuses each have him living within the same square mile. The majority of these years were all on High Street, west of the railroad. He was a laborer and carpenter by trade. In the 1871 Census it shows his wife is a general shop keeper. I have a suspicion they took over a shop from his wife’s family. By 1881 he had become a postmaster and was running that within the store as well. In 1891 he was still the postmaster but he had turned the shopkeeping business over to his son, John Eames. By 1901 Thomas no longer worked but still lived next door, or in the same house, as his son John. The censuses do not make it entirely clear to me if these are separate households in separate homes or separate households within the same home. Most of them appear to be living in the same house. I do not believe this building is still present. The stretch of High Street in the censuses are all to the west of the railroad. Much of this street has been modernized. Working down the street on Google Maps does not provide any buildings with the same design or brick pattern over the windows. Thomas had a home named Vine Cottage. 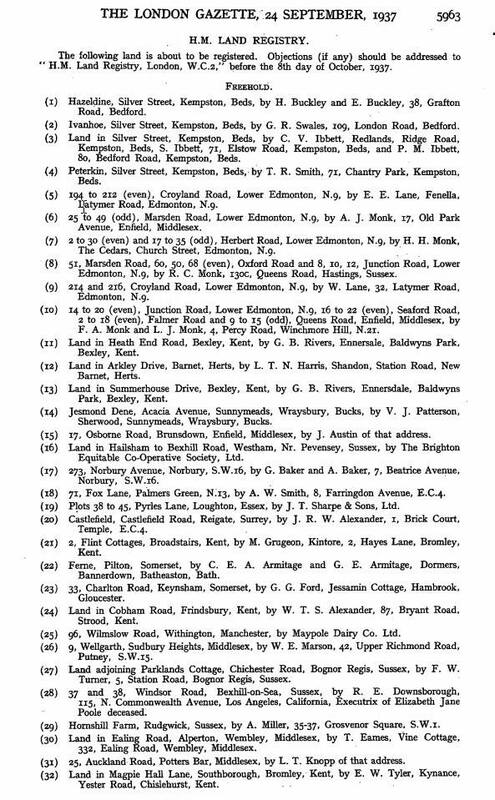 As shown from this document, it was registered in 1937 and was located at 332 Ealing Rd, Wembley, Middlesex. We know some of Thomas and his family. He was born 28 June 1826 in Harrow, Middlesex, England to Thomas and Elizabeth Eames. We really do not know a whole lot more about his parents. I suspect he was actually born in Alperton, just that since Harrow was the name of the civil parish Alperton is within and that explains why it shows as where he was born. He married Harriet Shettick 31 January 1847 in St Mary’s, Harrow on the Hill. She passed away at some point with no known children. He remarried to Christiana Leader in 1853. They had five children, Thomas (1854), Christiana (1856), Alfred (1860), John (1861), Emma (1864). Christiana passed away in 1896. He again remarried to Annie Clayton in 1896. We don’t know anything more about her and doubt any children were born to this marriage. I know some more of some of the grandchildren, but I think I will leave that for another time. If anyone is related to this Eames line or knows anything more, I would be glad to hear from you. Reposted with updates from 13 October 2012. I thought I would write about Edward William Sharp today (some also list him as William Edward Sharp, I am not clear which is correct), known to the family as Uncle Ed. He has a tender, yet thorny, position in the family. 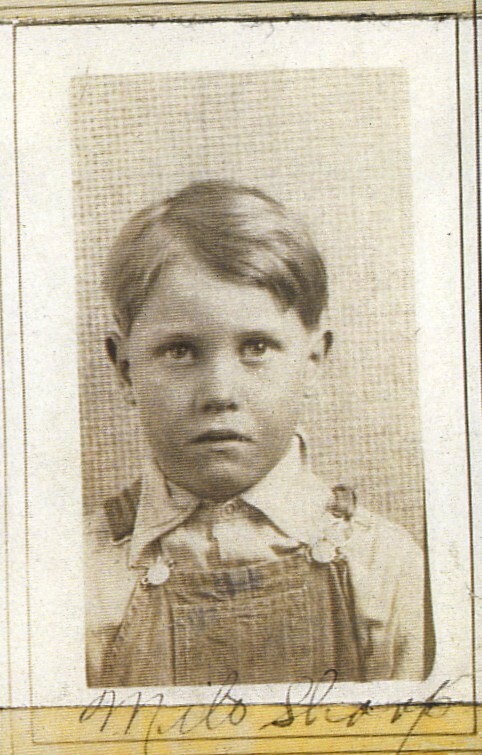 Edward William Sharp was born 25 October 1887 in Plain City, Weber, Utah, the seventh child to Milo and Lilly Sharp. My Great Grandmother, Ethel, was Ed’s younger sister, number 11 in line. I have written more of Ethel’s marriage to Jack Ross. Ed Sharp comes into the family line more closely when Ethel died in 1925. She left behind five children, namely: June, Milo, Paul, Harold, and Earnest. 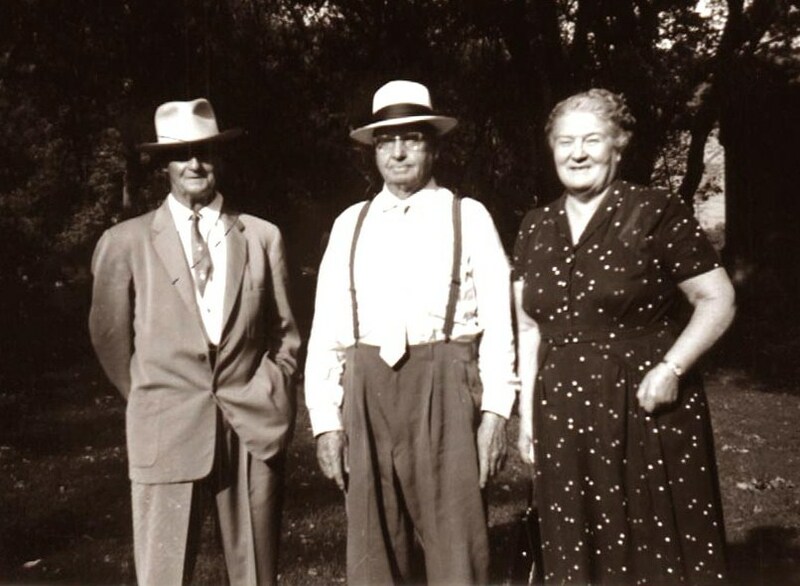 The four children were taken back to Paul, Minidoka, Idaho in 1925 to be raised by their Ross grandparents, James and Catherine Ross, while Jack got back on his feet. As winter came and progressed the family struggled. Earnest passed away the fall of 1925 in Rupert, Idaho. 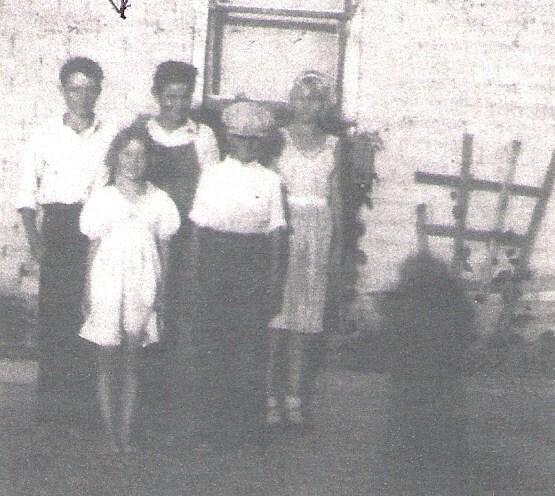 Jack was gone for unknown reasons and James and Catherine called Ethel’s family to come get the four children. Starting that winter of 1925-26, Milo Ross was raised by his Uncle Ed. 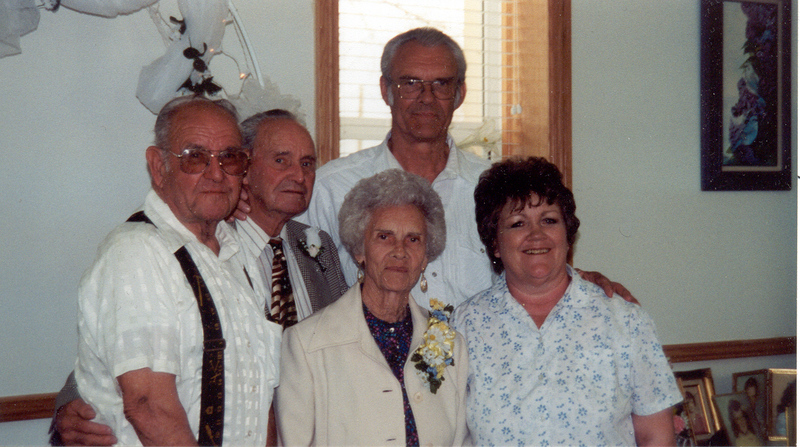 June went to live with her paternal grandparents, the Streeters in Ogden. 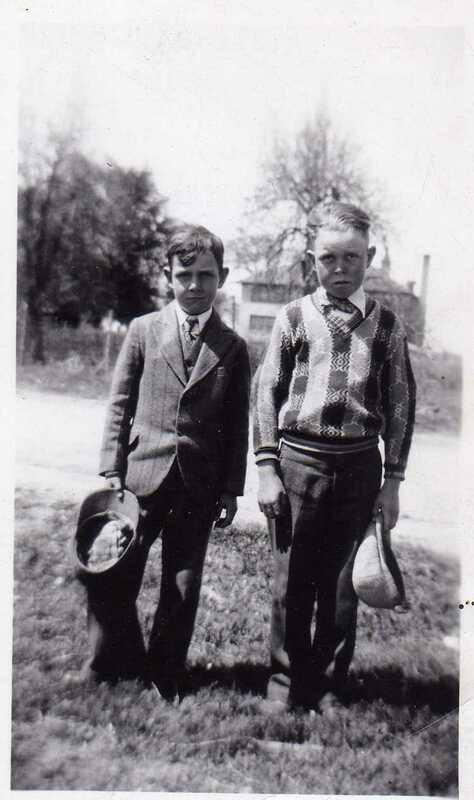 Paul and Harold were raised by Ed’s siblings, Vic Hunt and Del Sharp respectively. Sadly, Paul fell from a loft in a barn in 1932, broke his arm, and suffered a concussion that would take his life in 1932. Edward Sharp met and married Lillie Elva East 13 May 1909 in Plain City. She was born 16 February 1888 in nearby Warren, Weber, Utah. Together they had 10 children. 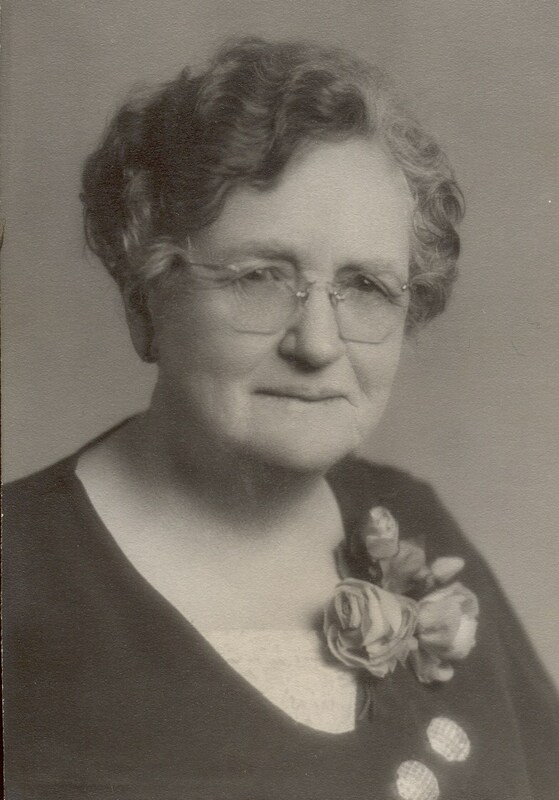 Edna Louise Sharp born 11 January 1910 in Plain City. Florence Evelyn Sharp born 30 June 1911 in Plain City. Marjorie Lillian Sharp born 23 June 1913 in Plain City. 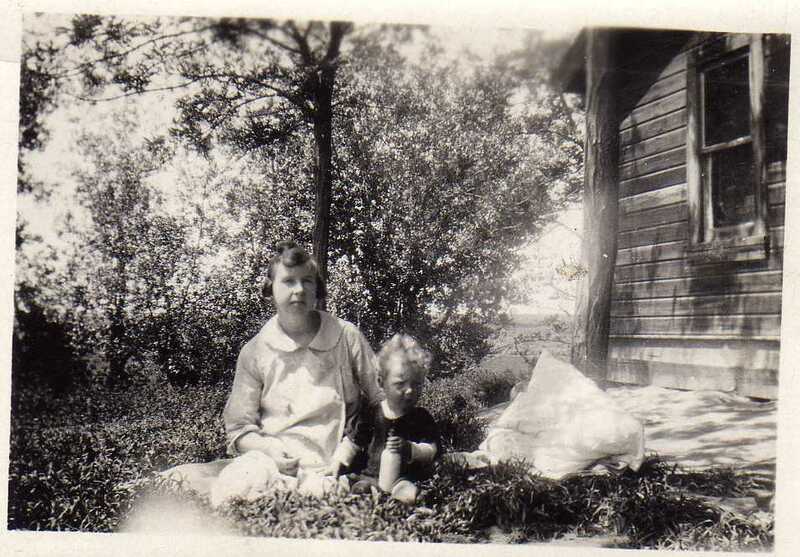 Ethel Sharp born 8 July 1917 in Plain City. Elmer George Sharp born 15 June 1919 in Plain City and died 12 November 1923 in Plain City. Ruby Elaine Sharp born 13 February 1922 in Plain City. Milo Riley Sharp born 27 November 1927 in Ogden. 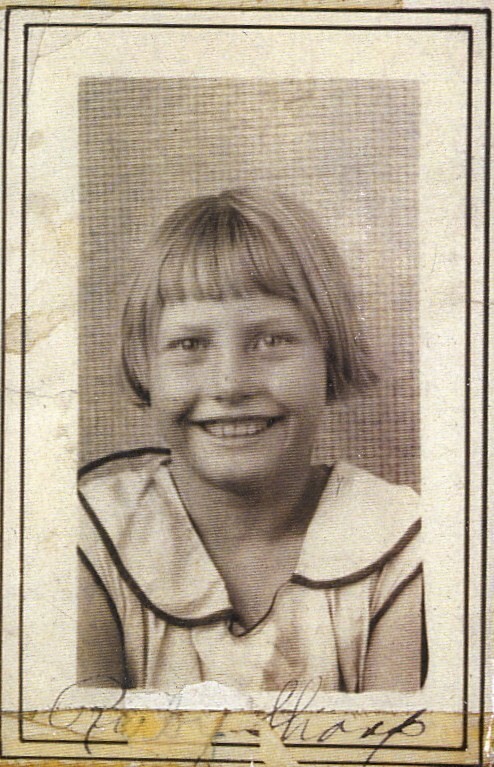 Josephine Sharp born 18 March 1927 in Ogden. Edward Junior Sharp born 24 January 1930 in Ogden. Dean Sharp born 28 April 1935 in Ogden. As a reminder, Grandpa, Milo Ross, was born in 1921 in Plain City. He falls right in the middle of the entire family and became one of the siblings. To tell the difference between Milo Ross and Milo Sharp, I will use their last name. Unfortunately, things were not quite that easy. Ed farmed a nice little farm in Plain City. He also had some cows, pigs, and other animals. 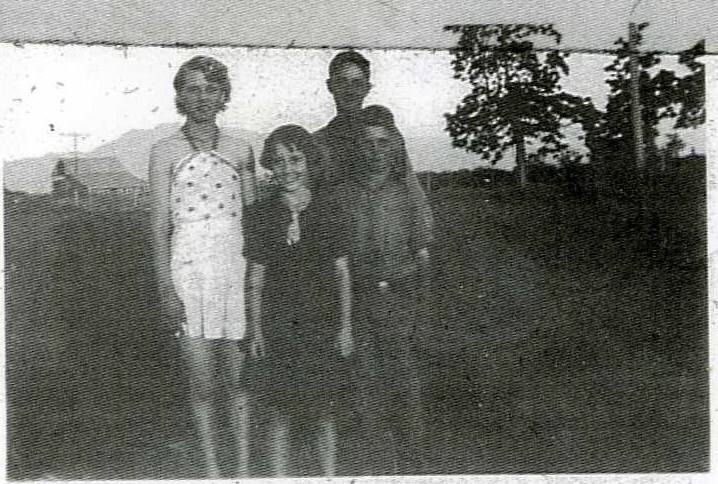 The family grew up in the Depression with all the anxieties and difficulties that came with it. Fortunately the farm was mostly paid for and the farm provided for itself and the family. Despite technically being blood to Ed, Milo Ross was treated differently than the other children. Milo Ross was not allowed to eat with the rest of the family. When the family was done with the meal, then Milo Ross could eat. Often alone. Milo Ross was expected to work longer than the rest of the family, into the time while the rest of them ate. Milo Ross was also expected to arise earlier and get things in order for the day before the rest of the family. He did not often get to eat with the rest of the family for breakfast and often only got some bread and milk. He was also given some of the more undesirable jobs around the farm. For example, it was his job to tend the onions which often left him smelling of them and he found that embarrassing. Ed also had some drinking issues and had a certain temper. Of course his family saw the issues that arose as part of the alcohol, but it was Milo Ross who felt it. He was the one who suffered the wrath of Ed’s drinking bouts at the end of a belt or sometimes worse. While Milo Ross loved his cousin-siblings, the relationship was not as kindred with Ed. 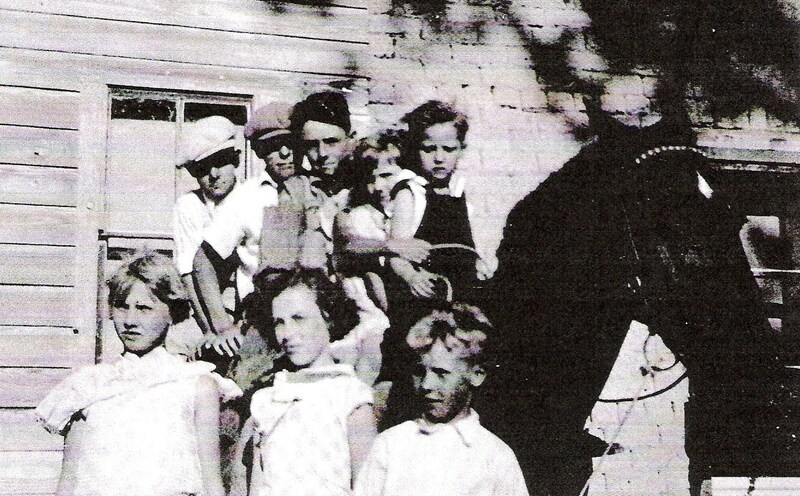 On Horse l-r: Harold Ross, Howard Hunt, Milo Ross, Josephine Sharp (arm only), Janelle England, Eddie Sharp. 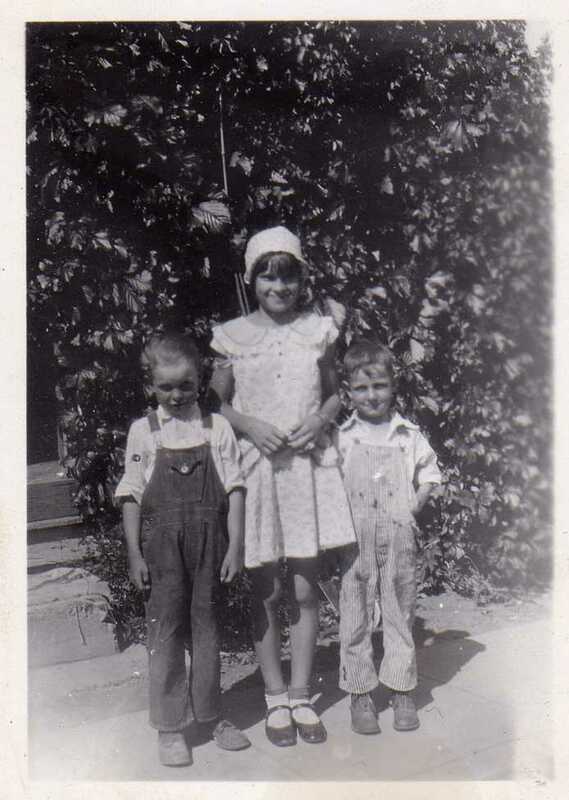 In front l-r: Ruby Sharp, Lucille Maw, and Milo Riley Sharp. Milo Ross was only one year in age from Ruby who he ran around the countryside with. They were close enough that they would hold hands. They did quite a bit together. He was also close to Milo Sharp, but he was still three years behind him in age. 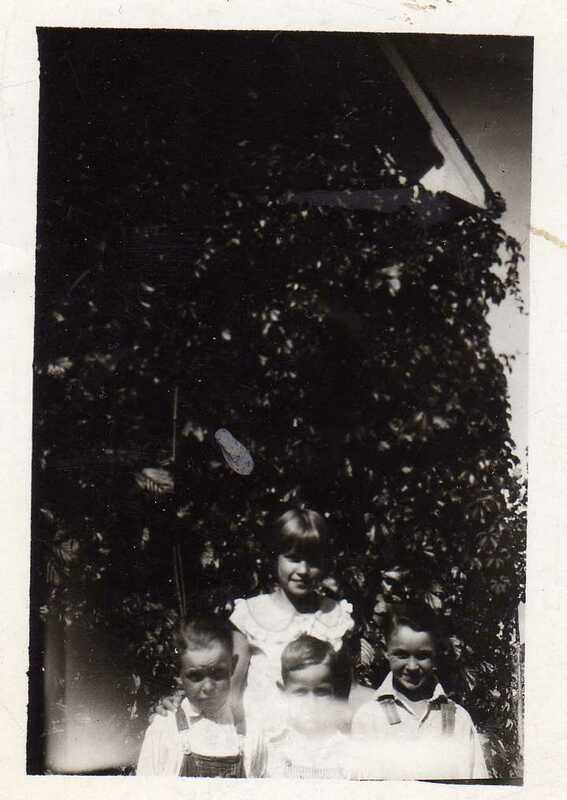 The older siblings, Edna (who went by Louise), Florence, and Ethel were good to him, but were close to each other and did mostly their own thing. Ed kept Milo Ross busy that he did not get as much time with the younger children but he grew close with Josephine and Edward (known as Eddie in the family). Dean was young enough that he was around him some, but did not have as close of a relationship. L-R: Ruby Sharp, Harold Ross, Milo Sharp, Milo Ross, Paul Ross, Ethel Sharp, and Bob Martin. As I mentioned in the story of Ed’s parents William & Mary Ann Sharp, she also went by Lilly, the Sharp and Stoker families came to Utah as converts to The Church of Jesus Christ of Latter-day Saints. A number of issues arose in Plain City and families left the church. Ed’s parents followed that suit remaining with the Episcopalian faith. Ed and Lillie did as well, but were not very active. The Mormons continued to work on bringing the families back to the church. 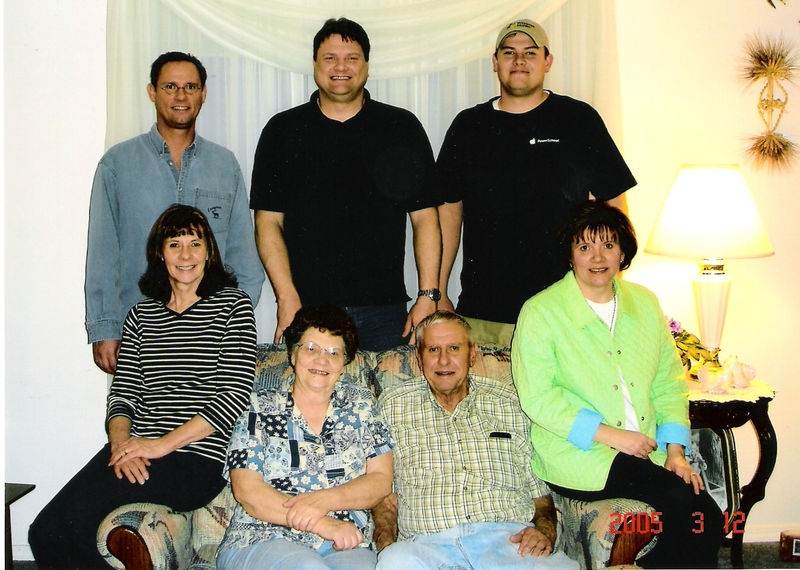 The Sharp family started to work through Delwin’s family first and the faith spread through Ed’s nieces and nephews and into his own family. Only one of Ed’s siblings joined the LDS faith while alive, and that was Vic in 1975. 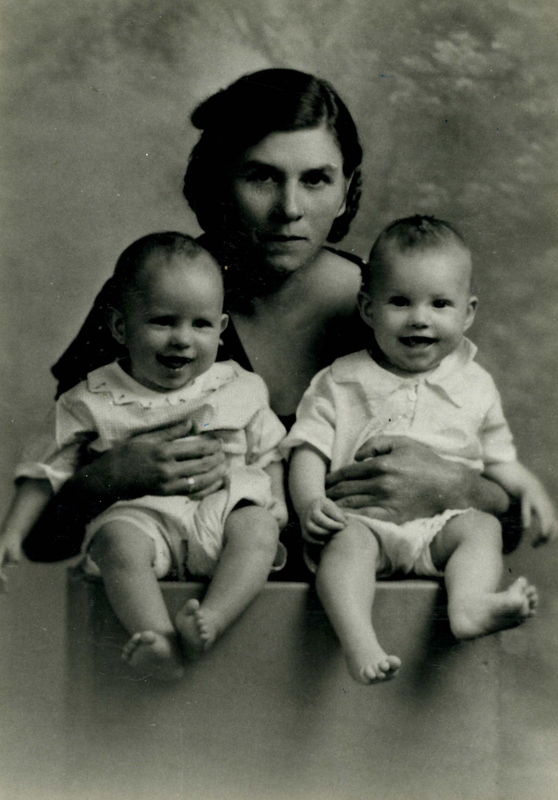 Marjorie, Ethel, and Ruby all joined through the waters of baptism on 12 May 1939. Milo Ross joined 2 July 1939 (only after 18 as Ed would not give consent otherwise). Louise, Florence, Milo Sharp, Josephine, and Eddie all joined 3 January 1943. 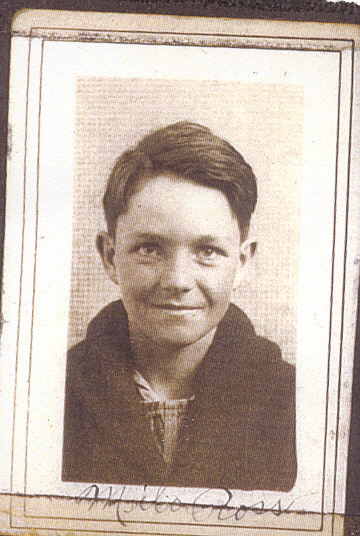 Dean was the last on 31 October 1943, he was not 8 in January to join with the remainder of his siblings. As soon as Milo was of age, he looked for opportunities to get out. He eventually married, moved in with his in-laws, and then the impending war took his services abroad. Milo Ross did not tell only negative about Uncle Ed. 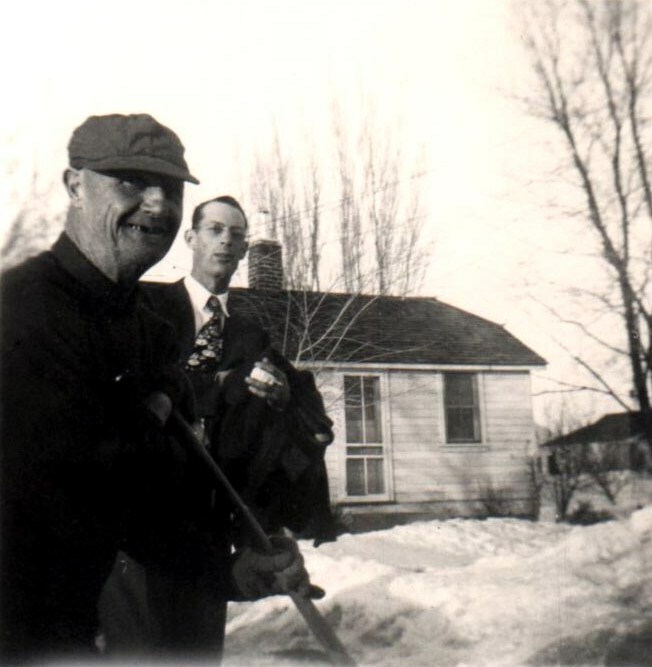 Grandpa regularly told of how he learned to work hard under Uncle Ed. While somewhat an outsider, Ed kept in contact with the extended family and Grandpa’s position in the family meant he was regularly tending to his Grandmother, Lilly Sharp mentioned above. While it was his strict duty to clean out his Grandma’s bedpan, keep the kitchen and house wood split and stocked, and whatever else she needed or wanted. Grandpa relished those moments in her home and with her. Lillie East Sharp died 4 September 1942 while separated from her husband. She had started divorce proceedings but died before they completed. She was buried in Plain City. Milo Ross remembered her as a beautiful lady who he sometimes told his woes, but she acknowledged the issues but took no steps to resolve them. Ed died 24 August 1962 in Othello, Adams, Washington. The family brought him home and buried him in Plain City too. Dad has continued to go through the items Grandpa and Grandma Ross left behind. Here is a photo that unfortunately is likely lost to the past. We are not sure why Grandpa and Grandma had it in their collection. It could be an ancestor but it might simply be a flea market find. Frankly, I cannot even tell for certain what the top of the photo is supposed to say. Either way, there is the lady and the child in the bottom right corner. The back of the photograph has “L. 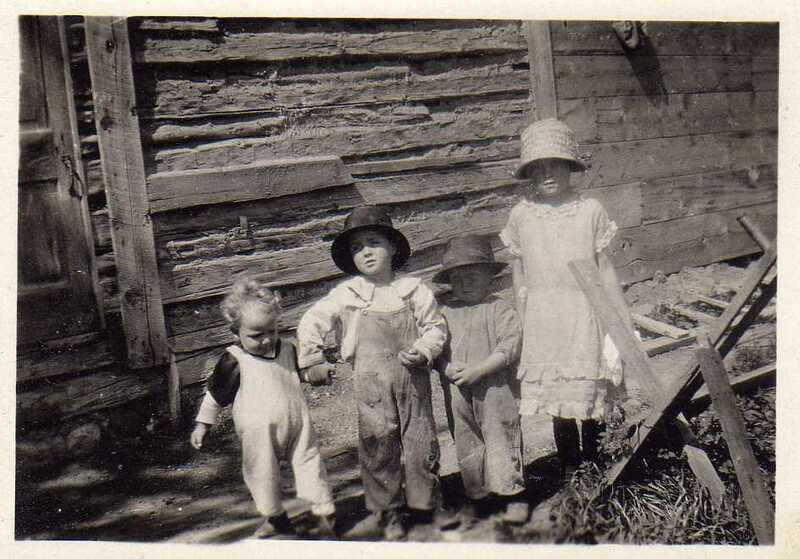 Whittling, Photographer, Cochranton, PA.” written on the back. 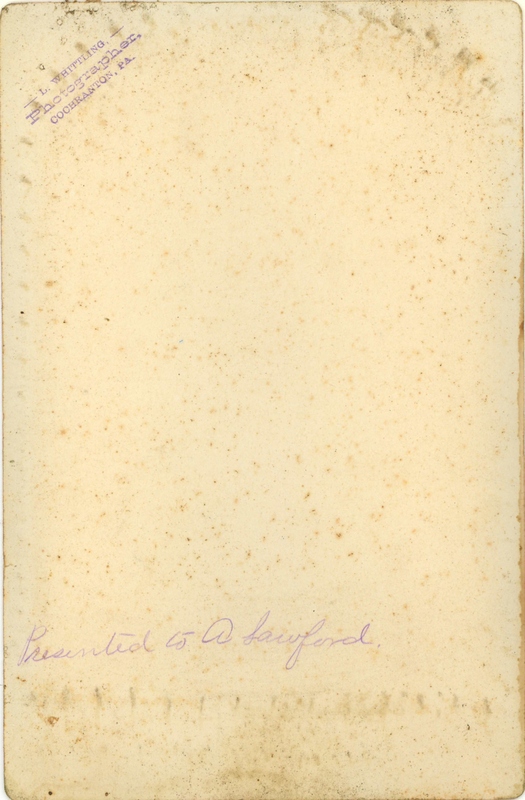 It also indicates “Presented to A Sawford” For those interested, the back of the photo is shared below. I attempted to find an A Sawford in the Cochranton area but did not immediately turn up anything definitive. The other thing is we do not know if this person is related to Mr. or Ms. Sawford. There is nothing to link Sawford to Cochranton. One thing I can say, I do not have an ancestral line that came through Pennsylvania. I cannot even find a relative that went to live in Pennsylvania on the Ross, Sharp, Stoker, Donaldson, or Van Leeuwen lines. Hopefully with the limited information, someone related might be able to find this relative. I thought some of you would like an update on a sort of miracle in the family. Some old photos have surfaced in March and April of 2010 some of you will probably be very interested in. (I republished this page because the links have all changed, so I just uploaded the pictures to avoid the link changes again.) I also replaced the photos with fresh scans of the photos in February 2011. If you downloaded the photos, you may want to download the newer scans. 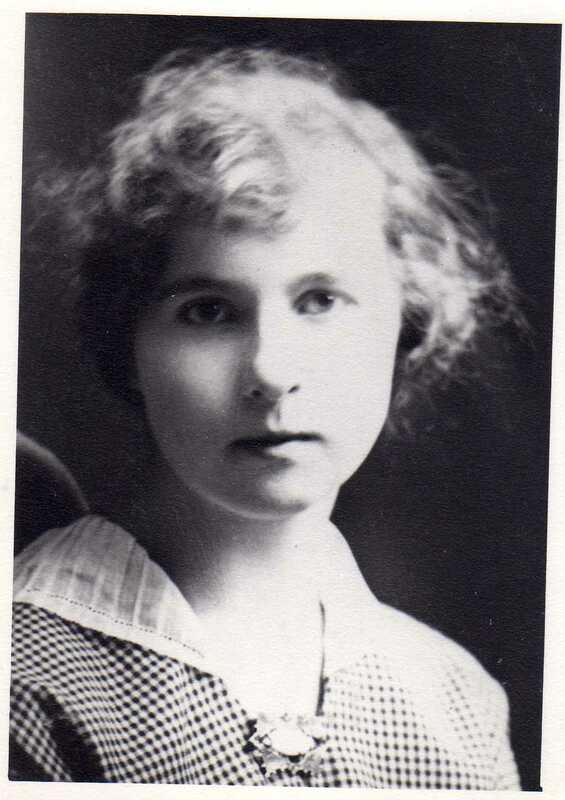 Ethel Sharp was born in 1898 in Plain City, Utah to Milo Riley and Mary Ann Stoker Sharp. Here is a photo of Ethel we found. You can click on the photos for a closer look. 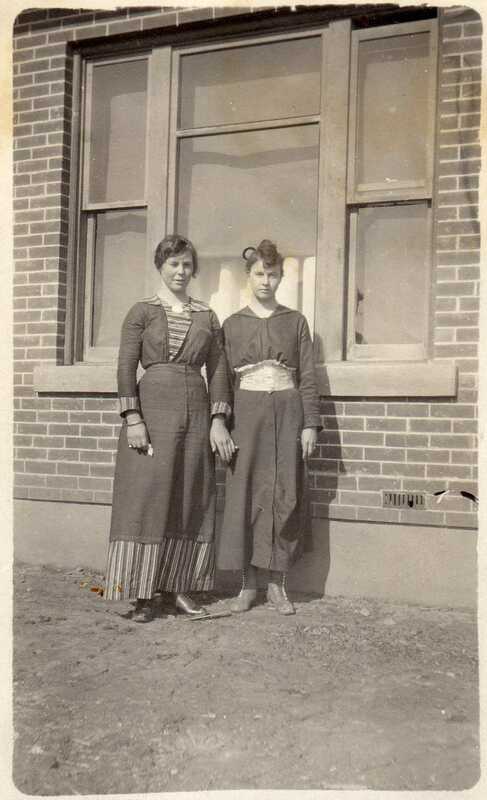 Another photo of Ethel and another friend, Gertrude Terry. Ethel is on the right. 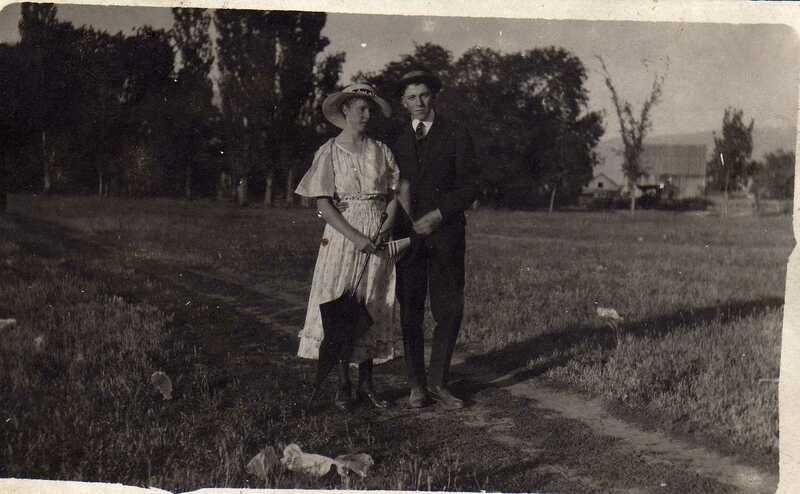 Another photo of Ethel and a cousin, Richard Thomas Stoker. Many of you are probably aware that Ethel Sharp was injured on the old electric train that went from Plain City in to Ogden. 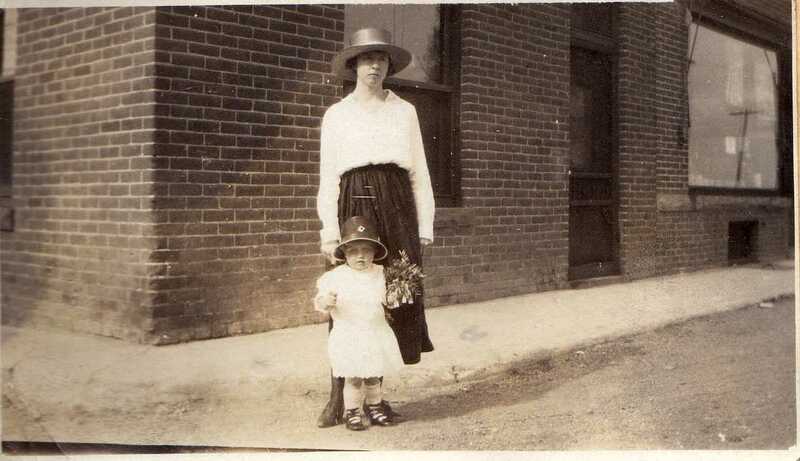 After recuperating she took her insurance money, moved to Paul, Idaho, and opened a confectionery. 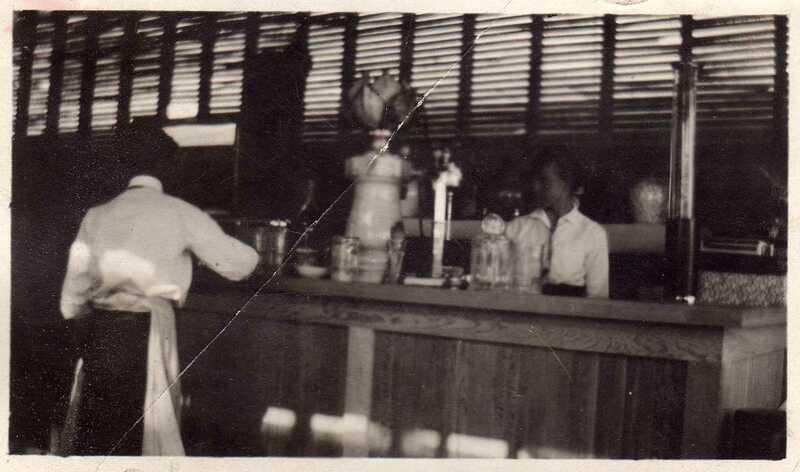 Here are two photos that recently surfaced of that little store in Paul, Idaho. Obviously construction is not completed in this photo but the store was still open for business. We don’t know the exact time frame when she purchased the confectionery, but some of the old checks, order sheets, and other paperwork call it the Streeter Confectionery. 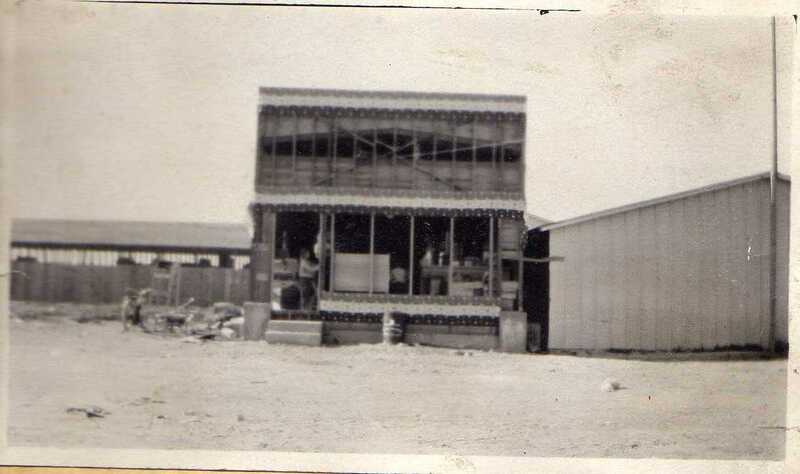 We don’t know the location of this store, if she built it, or what happened to it afterward. We do assume that she opened it while married to Mark Lewis Streeter who she married 7 May 1917 in Ogden, Utah. We don’t know the exact date of the train wreck yet, but while in Paul she gave birth to a daughter 4 June 1918 named June Streeter. Mark and Ethel couldn’t make things work and were divorced. 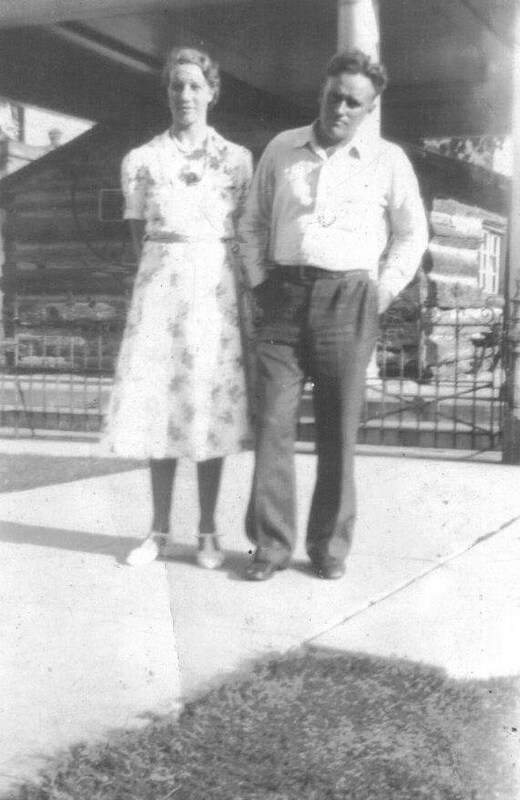 She remarried to Jack (John William) Ross 12 Jan 1920 at Fort Logan in Colorado. 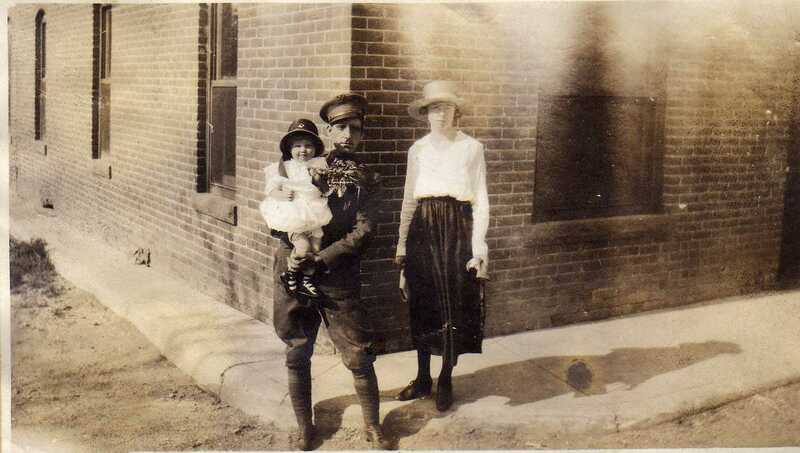 Here is a photo of Jack and Ethel holding little June Streeter. I have written more about Jack and Ethel at this link: Ross-Sharp Wedding. 4 Feb 1921, Milo James Ross was born in Plain City. 14 Feb 1922, Paul Ross was born in Paul, Idaho. 7 Nov 1923, John Harold Ross (Harold) was born in Burley, Idaho. This is probably one of the last photos of Ethel Sharp Ross with baby Harold. Here are some new photos of June, Milo, Paul, and Harold. The first seems to be about 1925 and the later two around 1926 or 1927. Ethel died of blood poisoning at 600 Cross Street in Ogden, Utah on 6 Aug 1925 after giving birth to Ernest Jackson on 16 Jul 1925 (he died 20 Sep 1925). We don’t know why the family was in Plain City when she gave birth and passed away. However, some time after the funeral Jack loaded up the children and took them to Rupert, Idaho to be with his parents for a time. We don’t know where he went (find work, find a mother, who knows?). However, after some time, we don’t know exactly how long, Jack’s parents could not take care of the 4 children anymore and asked the Sharp Family to come get them. Os Richardson drove up to pick them up. 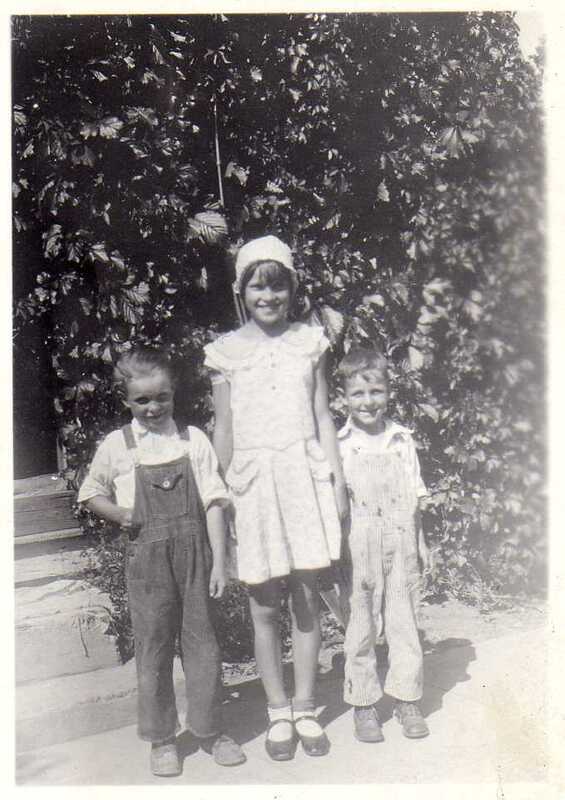 Eventually, June was raised by her Streeter grandparents; Milo was raised by Uncle Ed Sharp; Paul was raised by Aunt Vic Hunt; and Harold by Uncle Del Sharp. 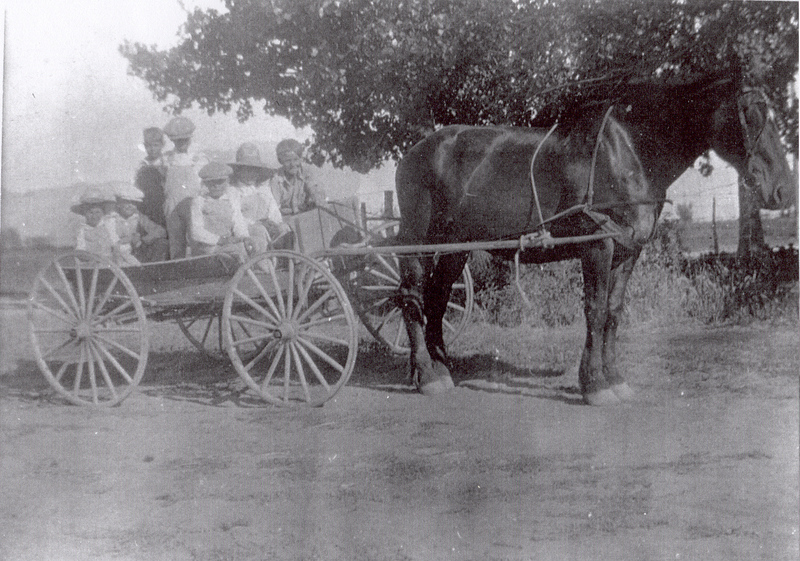 Here is a picture of a bunch of Sharp cousins in a wagon in Plain City. 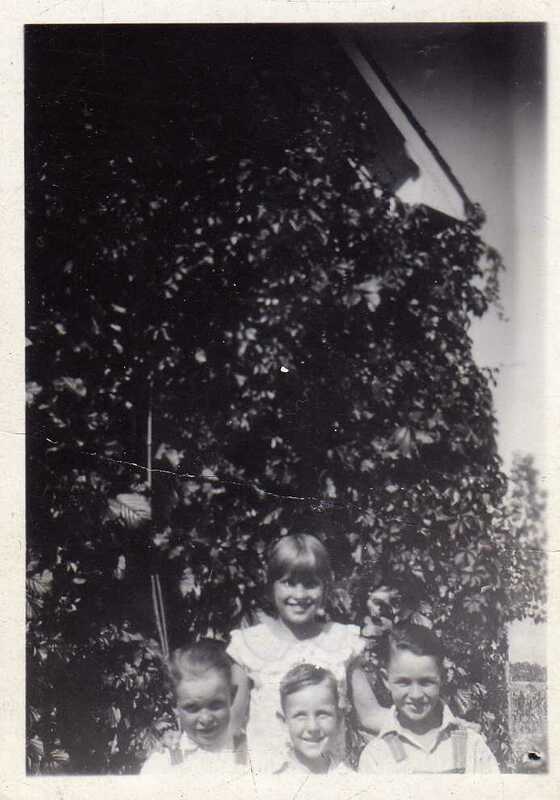 l-r: Ruby Sharp, Harold Ross, Milo Sharp, Milo Ross, Paul Ross, Ethel Sharp (cousin), and Bob Martin. And another photo of Paul (R) and Harold (L). Paul would die after falling out of a barn in 1932 just over 10 years old. Now comes the story from the new photographs. For reasons we do not know, the Sharp family did not like Jack Ross. They did not allow him to visit his children. All the mail received by any of the Sharp family for the Ross children was kept from them. When Ethel’s mother (Mary Ann aka Lillie M Sharp) passed away, a photo album given to her passed to Vic Hunt. 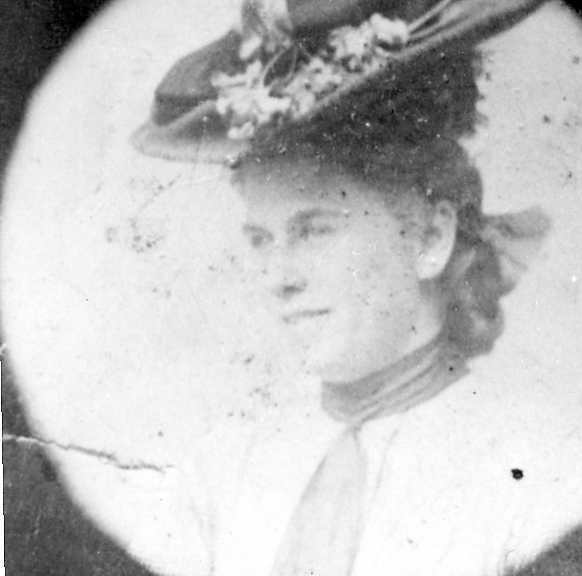 Vic Hunt kept in her possession all the letters mailed from Jack Ross to the Ross boys as well as the photo album from which these photos come. The photos and letters then passed to Vic Hunt’s son, Harold Hunt. When Harold passed away in 2002, these passed to Harold’s nephew, Archie Hunt. Archie just went through some of the stuff and found these items about March 2010 and gave them to Grandpa Milo Ross. Milo James Ross went to visit Jack Ross in 1948 after receiving a telegram that Jack was dying in Livermore, California. Jack mentioned to Grandpa that he had written after the boys went back to Utah, but Grandpa didn’t believe him. Here we are, 70-80 years after the letters were written, and almost 90 years since some of the photos were taken. Jack was vindicated to his own son 62 years later! It was the first time Grandpa had seen the photos and letters he did not know existed. How is that for a sort of miracle? I hope at some point I can type up the letters and also make them available on here. I know some of Grandpa’s family will have seen the photos, but know extended family will be interested in this find as well. If anyone else has photos they would like to share, please let me know. If you can fill any of the story, please let me know. Oh, Grandpa finally answered one question he had when he visited his father in 1948. One day working in the fields at Ed Sharp’s house as a kid, he saw a car at the end of the field. The occupants did not leave the car but he could see a man watching him from the back window. The car left and not until 1948 was it revealed to him that it was his own father looking at him across the field that day. I can only guess what is going through Grandpa’s heart and mind as he reconciles his understanding of his own history in these letters. After many years, I finally obtained a better photo of my Great, Great Grandparents. I only had a photocopy of their photographs and longed for something much clearer. Since I had the photocopy, I knew the original photos had to be out there somewhere. Finally, alas, a cousin has made these two photos available to me. Having said that, the photo of Milo Riley is only a portion of the photocopy I have, at least it is the head shot! I have also updated the original post (with the lesser quality full photo of Milo) regarding Milo and Mary Ann.